Heat the oil in a pot with a lid over medium to medium-high heat. Add the chiles, peperoncini, garlic, and shallots. Cook, stirring, for 5-7 minutes. Season with salt and red pepper flakes (optional) and stir in the sherry and tomato paste. Cook until it is reduced by half. 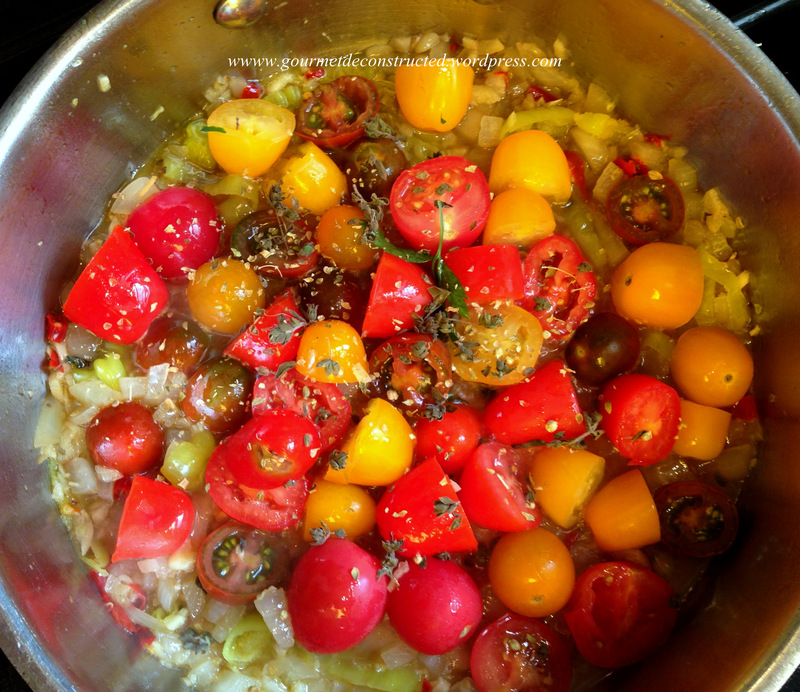 Add the tomatoes and oregano, cover and cook until the small tomatoes burst, about 12-15 minutes. Stir in the basil and parsley and cook an additional 8-10 minutes. Add the lobster meat and simmer until meat is heated through, do NOT overcook or the meat will be rubbery. 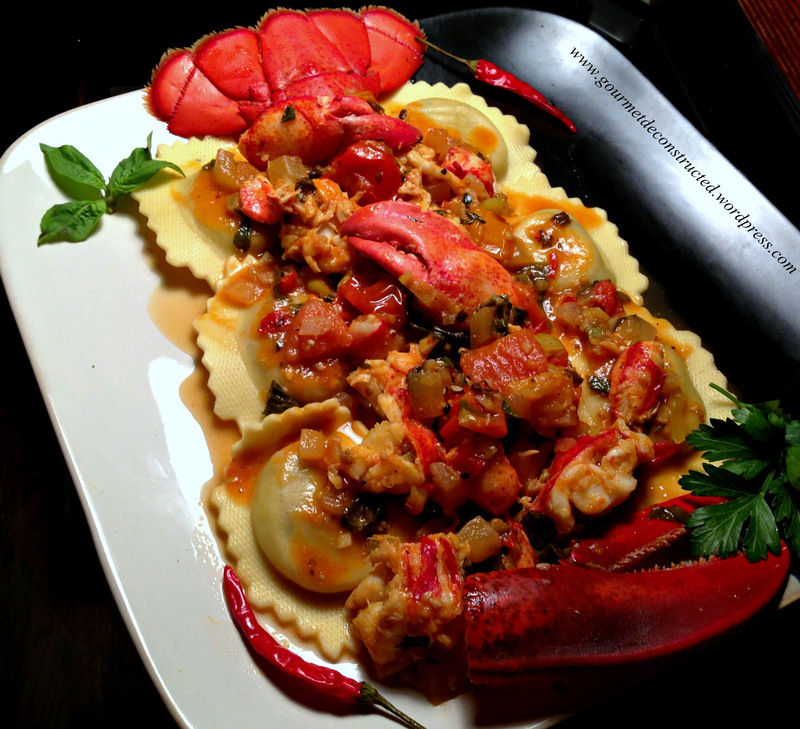 Remove from the heat and serve with your favorite pasta or rice, I chose to use some store bought crab stuffed ravioli. Bon Appetit!! 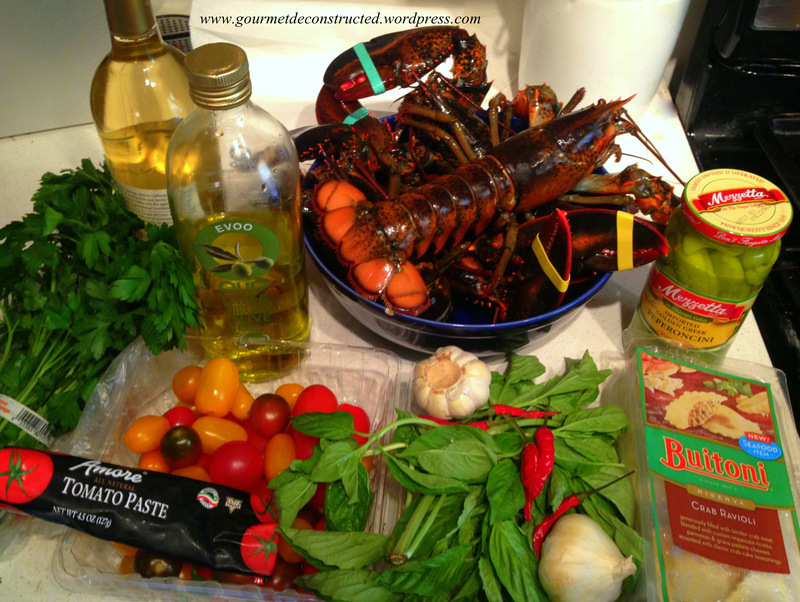 Posted on September 11, 2013, in Seafood and tagged crab, Fra diavolo sauce, Lobster, lobster fra diavolo, Pasta, ravioli, seafood, shellfish, spicy tomato sauce, tomatoes. Bookmark the permalink. 10 Comments. Fantastic recipe to put on my ‘to do’ list! Really want to try this with the fair amount of basil you have put in: really interesting trying to ‘taste’ this whilst typing 🙂 ! Do you deliver to Brooklyn, hahaha. You rock Chef! Loving the dish!